Cassian's U-wing has +60% Counter Chance. 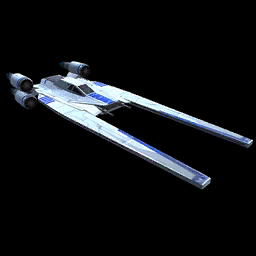 While Cassian's U-wing is active, all allies have +25% Critical Avoidance and +25% Defense when attacked by Target Locked enemies. These bonuses are doubled for Rebel allies. Enter Battle: Dispel all buffs on all enemies. Inflict Offense Down and Defense Down on target enemy for 2 turns, which can't be Evaded or Resisted. Deal Special damage to target enemy and call target ally to Assist. Both attackers have an additional 30% Critical Damage. If the assisting ally is a Rebel, these attacks are guaranteed to be Critical Hits. Dispel all debuffs on target ally and grant them and Cassian's U-wing Stealth for 3 turns. If any debuffs were Dispelled, Cassian's U-wing and target ally gain 25% Turn Meter, doubled if target ally is Rebel.